Besides a considerable price saving in relation to the purchase of the individual components you can take advantage of reduced installation efforts and the possibility to subscribe to a consolidated Software Update Service. 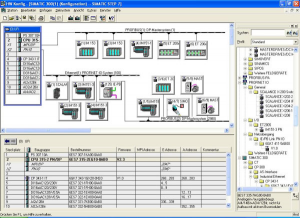 STEP 7 basic software is the standard tool for the SIMATIC S7, SIMATIC C7 and SIMATIC WinAC automation systems. It enables the user to use the performance capability of these systems easily and conveniently. Configuring and parameterizing the hardware. Configuration of the automation system Racks are selected from an electronic catalog and the selected modules are assigned to the required slots in the racks. The configuration of the distributed I/Os is done in the same way as the configuration of the non-distributed I/Os; channel-granular I/O modules are also supported. The user can specify all the adjustable parameters of the modules in input screen forms. Adjustments via DIP switches become unnecessary. Parameterization of hardware modules occurs automatically during the CPU’s acceleration. Thus, a change of a module can be made without another parameterization. – Definition of the communication links. – Selection of the communication function blocks (CFBs) from the integrated block library. Display of text messages, which can be output directly and quickly. Causes of malfunction during user program execution. Display of cycle duration (longest, shortest and last cycle). Display of the reserved and free memory. Capabilities and usage of MPI communication. The creation of ladder diagrams/function block diagrams is characterized by the user-friendliness familiar from PCs, such as drag and drop, cut and paste. Entry option in incremental mode and free text mode: the user can either have each input immediately checked “incrementally” for correctness, or create the complete program using only symbols in a text editor and subsequently have it translated by means of the appropriate symbol chart. The STEP 7 programming languages have a comprehensive set of instructions, similar to STEP 5. This allows even complex functions to be programmed easily (i.e., without having great programming knowledge) and quickly. 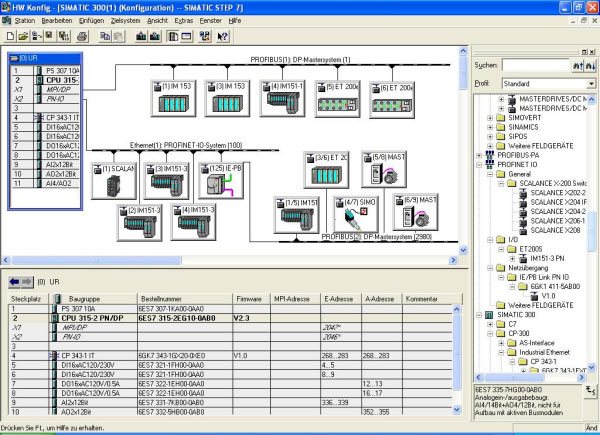 Program control (branches, branch distribution, calls, Master Control Relays). Search functions: Specific locations within the program can be found quickly using search criteria (such as symbolic name, operand) (XRef).